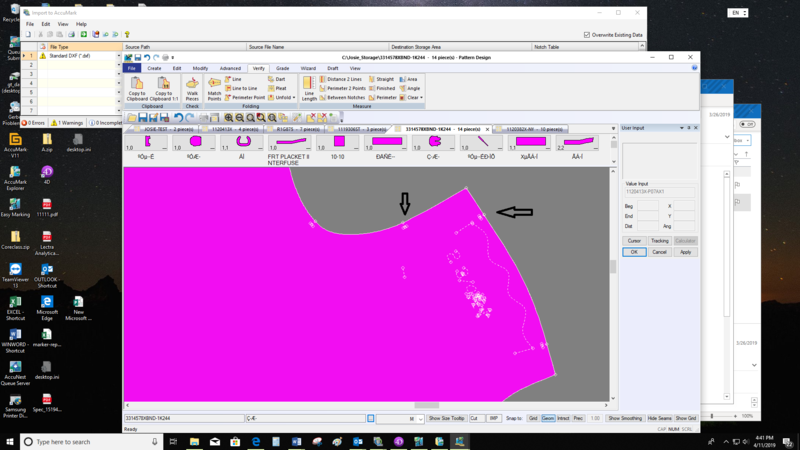 When importing standard dxf files, be sure to select Scan Piece Perimeter and Scan Internal Lines (in the Notch Conversion tab in your DXF preferences) so if it detects a perimeter shape with measurements that match your notch table, it will turn it into AccuMark notches. 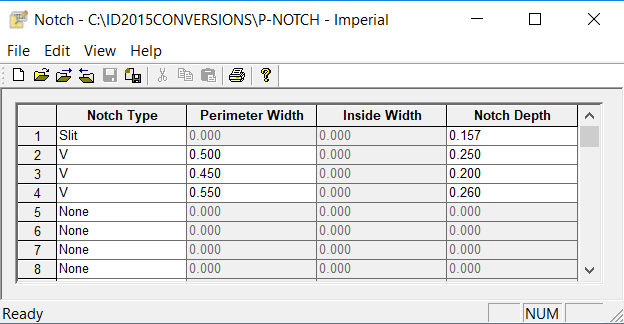 The measurement of the notches on your imported piece must exist in the notch table so that it imports as notches, not internal lines as it appears on your screenshot. If the pattern you are importing is from another Pattern Design system, you should be using the file type of astm dxf instead of standard dxf. @JosieHong as an ASTM dxf file, the notches should come through as AccuMark notches. Please use ASTM dxf instead of Standard Dxf.